About the best thing we can say about Walmart is it is performing well for its size. Walmart's online sales are great but not profitable yet. Walmart stock is up, the P/E is way up, and yet, expectations for growth are far less than one of its peers. Walmart (NYSE:WMT) investors have a hard choice to make. One of the biggest challenges in the market is when you pick a good stock and it does exactly what you expect. In the last year, Walmart shares have risen from just under $86 to around $100 for a return excluding dividends of more than 16%. For a company expected to do over $500 billion in sales this year, a 16% capital return plus a nice dividend is a great return. The problem for investors today is the shares are no longer at $86, and the company's prospects haven't changed that much. The short version is Walmart shares seem to have gotten ahead of the fundamentals. There is no way to avoid the comparison between Walmart and Target (NYSE:TGT). The two companies have stores that exist almost side-by-side in some towns. Both companies have similar selections and compete head-to-head for groceries, household goods, clothing, and more. Last quarter, Walmart and Target each received kudos from analysts about their online sales. If we look at how each company performed last quarter; at first, it seems like their results are very similar. Walmart's U.S. sales increased by 3.7% and comps were up 3.4%. When it comes to Target, the company's sales looked flat year-over-year and store comps increased by 2.9%. To the uninformed, it looks like Walmart outperformed Target by both measures. However, Target's 2017 quarter included an extra week of sales, which changes the top line comparison quite a bit. During both quarters, Target generated about $23 billion in sales. With 14 weeks in the 2017 quarter, Target produced about $1.64 billion in sales per week. In 2018 with 13 weeks, Target generated $1.77 billion in weekly sales. Using these figures, Target increased its sales annually by nearly 8%. If we look at analyst expectations for sales growth from each firm, we get similar results as well. Walmart is expected to generate less than 3% revenue growth this year, whereas Target is expected to produce annual growth of more than 3%. As we can see, neither company is expected to light the world on fire when it comes to revenue growth. However, investors seem focused on Walmart's online sales prospects as a reason to keep buying the shares. When it comes to online sales, a key movement seems to be the convergence of online and offline. For a long time, investors were led to believe that Amazon's (NASDAQ:AMZN) primary competitive advantage was its lack of a physical presence. Theoretically, this makes plenty of sense as the lack of physical stores, less employees, and less ongoing costs should be a big plus for the company. According to reports, last year, U.S. E-Commerce sales exceeded $500 billion, an increase of about 15% annually. Given the size and growth of this market, it's no surprise that Walmart needs to succeed in online sales. Over the years, companies like Walmart and Target have realized they can leverage their huge physical store presence to push online sales. This is a key difference between Amazon and its "traditional retailer" competition. Walmart already runs over 5,300 U.S. locations and Target has over 1,800 locations. These stores are open, the companies already serve customers daily and the costs are built into their business models. Amazon arguably bought Whole Foods to begin its physical presence, yet, most of Amazon's retail business is still delivered to the customer directly. What Walmart and Target have realized is it's far more efficient to use its massive store base as mini delivery hubs instead of having to invest billions to build warehouses. Customers can now buy items online through Walmart.com or Target.com and, normally, pick them up within an hour or so. Each company is pushing hard to take sales in the grocery business by offering pickup options at the store. While Amazon Prime offers fast delivery; in many cases, the consumer still must wait at least a day before they receive their item(s). In today's on-demand world, the difference of an hour, or a day, is sometimes the difference between choosing Amazon versus Walmart or Target. On the surface, Walmart seems to be outperforming its peers. Last quarter, Amazon's product sales increased by just over 8% annually. The company's North American revenue increased by just over 18%. By point of comparison, Target's online sales increased by 31%. This sounds impressive until we realize that Walmart's E-Commerce sales increased by 40% annually. Partially, on the strength of Walmart's strong online sales, investors seem comfortable paying up for the stock. However, there are a few big challenges facing Walmart's online aspirations. Both CEO Doug McMillion and CFO Brett Biggs stated plainly some of the company's online challenges in the last conference call. the thing that's taking longer than what I would have guessed is to build that merchandise assortment… to a place where we got a repeatable healthy mix of business online." we expect our losses in E-Commerce to increase this coming year reflecting investments in infrastructure, people, and online grocery." Beyond the cost, there is another issue that apparently is causing problems with the company's stores as well. You can get to a point an we do cap in some store locations, a place where we have too many pickers in the store and it gets - they get in the way of our customer shopping." The bottom line is Walmart is growing its online sales, yet, not profitable at this point. The company is garnering interest in online order and pickup, yet, pickers may be getting in the way of regular consumers. This is a massive business that will contribute positively to Walmart's long-term growth, yet, investors are buying the stock as though that day is today. Walmart is a great company and is doing very well. The shares are up about 16% in the last year. From a five-year low in October 2015, the shares are up around 75%. With shares at less than $60 a few years ago and annual EPS at $4.67, the stock traded at a P/E of about 13. Today, Walmart shares trade at a trailing P/E of 20. If we look forward to what analysts expect for this year, the company's forward P/E may be 21. It's clear that Walmart investors have high expectations, yet, analysts only expect five-year EPS growth of 3.5%. Though Walmart pays a dividend yield of over 2%, even this yield can't save the valuation issue facing investors. If we look at where Target stands relative to Walmart, the valuation gap is simply too large to justify. Target's yield exceeds 3%, which trumps Walmart's payout. 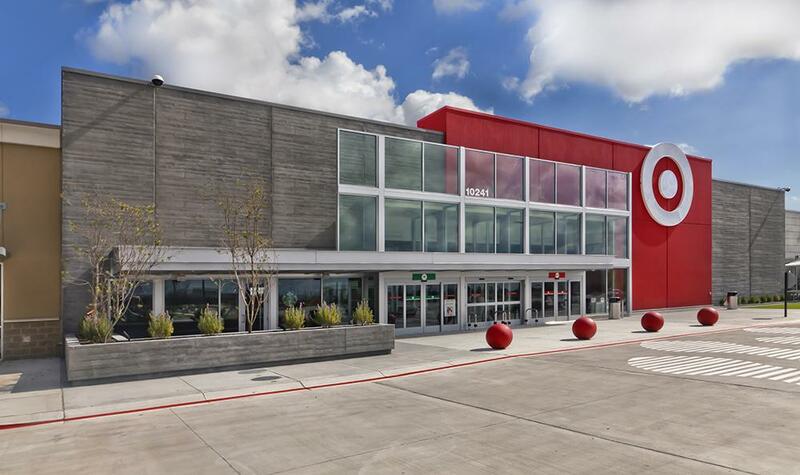 Target has a much smaller store base and analysts expect annual sales for this year to equal about $78 billion. As we've seen, Target's online sales growth has been impressive as well. The huge difference between Target and Walmart is the former's valuation seems far more reasonable. Target's trailing P/E is right around 15. If the company meets earnings expectations for this year, the P/E may drop to just under 14. If Target carried a cheaper P/E and lower growth expectations than Walmart, it might be possible to recommend the larger retailer. However, the exact opposite is true. Over the next five years, analysts expect Target's EPS to grow by nearly 10% annually. Bringing this all together, Walmart has a lower yield, a significantly higher P/E, and a significantly lower expected EPS growth rate relative to Target. Long-term investors in Walmart need to temper their expectations in the near term. The stock is significantly more expensive on a relative basis than it was just five years ago. For those looking for an entry point, now does not seem to be the time. This is a great company, the stock not so much. Disclosure: I am/we are long TGT. I wrote this article myself, and it expresses my own opinions. I am not receiving compensation for it (other than from Seeking Alpha). I have no business relationship with any company whose stock is mentioned in this article.